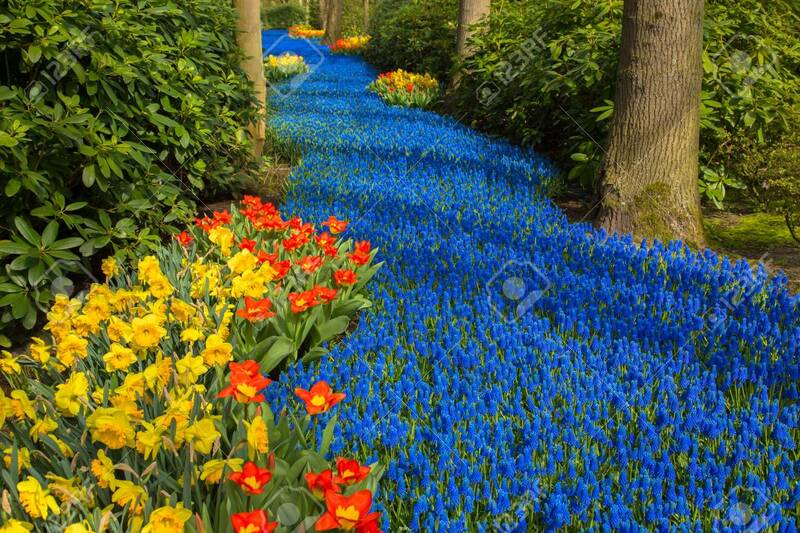 A Blue River In The Forest, Formed From Flowers. A Lot Of Blue Flowers Create The Illusion Of A Stream Or A River Among The Trees. Spring Landscape, Spring Background, Sunny Spring Day. Lizenzfreie Fotos, Bilder Und Stock Fotografie. Image 99953275.